In September 1926, though, Astrid's choice of a husband became clear. Her uncle, King Gustav V of Sweden, announced from the palace in Stockholm that Astrid was engaged to Prince Leopold, Duke of Brabant, the heir to the throne of Belgium. Simultaneously, Leopold's parents, King Albert I and Queen Elisabeth of the Belgians, announced the engagement to the press in Brussels. A marriage between a princess and a crown prince certainly involved political negotiation, especially in the aftermath of World War I, but Queen Elisabeth emphasized that the pair were genuinely in love. She appears to have been correct. Leopold had been wooing Astrid for months, traveling incognito to Sweden and even hiding away from guests at Astrid's parents' home to deflect suspicion. Shortly after the engagement was announced, 24-year-old Leopold and 21-year-old Astrid were seen walking together affectionately in Stockholm. British Pathe cameras filmed their Swedish walkabout, which was chaperoned by Astrid's parents; you can see the video below. The wedding date was originally set for December, but then later pushed forward to early November. 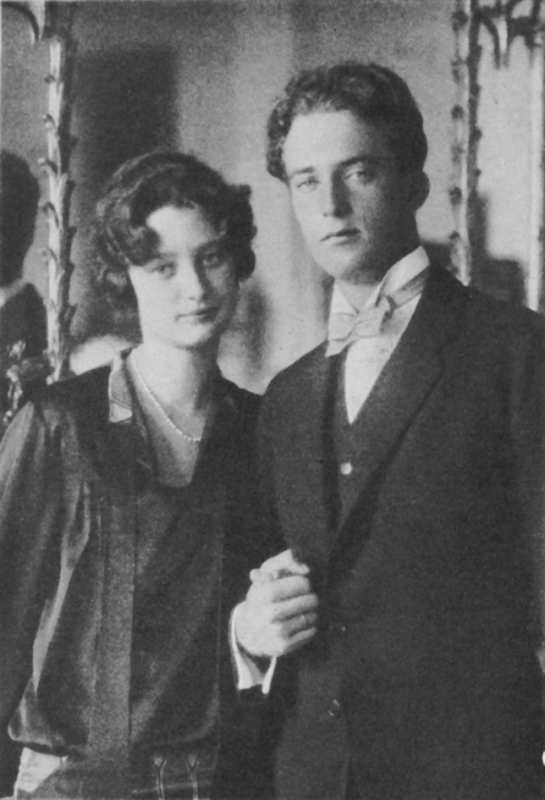 Negotiations took place over the couple's religion; Leopold was Catholic, while Astrid was Lutheran. Although she reportedly considered converting at the time of the wedding, Astrid was reportedly advised not to convert unless she felt a personal conviction to do so. A papal dispensation was granted that allowed the pair to marry, provided that their children were raised in the Catholic church. When everything was settled, Leopold arrived in Stockholm ahead of the civil wedding with his family. For his 25th birthday (the day before the civil ceremony), Astrid baked him a chocolate cake herself, much to the delight of the correspondents covering the wedding in the papers. Leopold and Astrid had not one but two grand wedding ceremonies. On November 4, the pair wed in a civil ceremony held in the throne room of the palace in Stockholm. More than a thousand guests gathered to watch as Stockholm's mayor -- who, the press trumpeted, wasn't even a monarchist -- married the couple. For the civil ceremony, Astrid wore a white satin gown trimmed with seed pearls. She donned the same Brussels lace veil that had been worn by her mother and her sister Margaretha at their own weddings, plus a traditional crown of Swedish myrtle. A necklace (possibly the diamond necklace given to her by King Gustaf?) was the only significant jewel she wore with her ensemble. Leopold wore a khaki military uniform adorned with the star of the Order of the Seraphim, with which he had been presented the day before by King Gustaf. Leopold presented Astrid with a simple gold wedding ring during the ceremony. Astrid's guests far out-glittered the bride and groom at the civil wedding ceremony. The Washington Post reported, "Everywhere were gorgeous gowns and jewels and brilliant uniforms." The royal guest list was lengthy. Four kings -- Albert I of the Belgians, Gustaf V of Sweden, Christian IX of Denmark, and Haakon VII of Norway -- attended the ceremony. Astrid's bridesmaids included her sister, Princess Martha of Sweden; two royal cousins, Princess Ingrid of Sweden and Princess Feodora of Denmark; and Leopold's sister, Princess Marie-Jose of Belgium. Leopold's attendants included his brother, the Count of Flanders; two of his future brothers-in-law, Prince Charles of Sweden and Crown Prince Olav of Norway; and one of Astrid's cousins, Crown Prince Gustaf Adolf of Sweden. In Sweden, Astrid received a number of sparkling wedding presents. The people of the city of Stockholm gave her an unusual diamond and pearl tiara made by Andersson. Astrid's uncle, King Gustaf, gave her a diamond necklace, while her parents gave her a ruby necklace and a diamond and emerald brooch. Another newspaper report identifies Astrid's parents' gift as an emerald and diamond necklace. 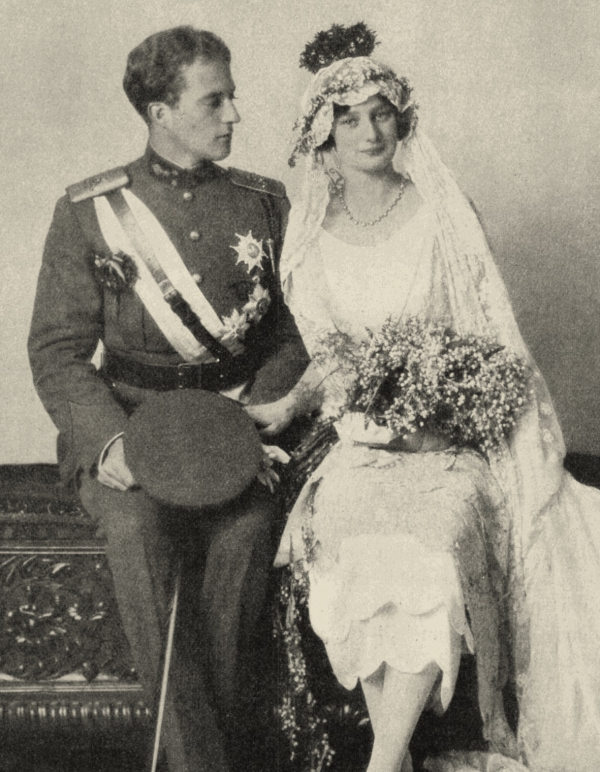 Leopold's parents presented their new daughter-in-law with a tiara set with diamonds and a single large emerald. The presents were displayed at her parents' home, where Astrid returned following the civil ceremony. Leopold departed a few hours after the wedding to return to Belgium, where the couple would reunite a few days later before their religious wedding. On November 9, Astrid arrived in Belgium, and the crowds were so massive that she and the royal party were jostled about during her reunion with Leopold. The following day, the couple married in a religious ceremony at the Cathedral of St. Michael and St. Gudula in Brussels. Thousands gathered inside the cathedral to await the arrival of the bride and groom; their wait was fairly long, as delays meant that Astrid arrived at the church half an hour later than expected. When she stepped out of her carriage, she was wearing a second white wedding gown, but the same veil of Brussels lace covered her head. A necklace was again her only major piece of jewelry, but during the religious ceremony, Leopold gave her a ring set with a diamond. The royal guest list was just as extensive for the Catholic wedding ceremony. The New York Times reporter noted that the female guests had been granted special permission to attend the wedding without covering their heads, although some "had their heads veiled in lace and others wore tiaras and ribbons." Tiaras worn across the forehead in '20s fashion were the order of the day, as you can see in this group photograph from the religious wedding. Astrid's mother, Princess Ingeborg, wore her brilliant emerald tiara, while the groom's mother, Queen Elisabeth, donned her remarkable Cartier diamond bandeau. Queen Alexandrine of Denmark wore her fringe tiara, and Grand Duchess Charlotte of Luxembourg -- whose son would later marry Astrid and Leopold's daughter -- wore her Chaumet tiara with the enormous cabochon emerald centerpiece. Astrid didn't wear a tiara to either of her wedding ceremonies, but the Belgian government was planning a major new tiara gift for their new Duchess of Brabant. In February 1927, they presented Astrid with the Nine Provinces Tiara, a grand diadem made by Van Bever of platinum and diamonds, including eleven large diamonds sourced from the Congo, which was then a Belgian colony. 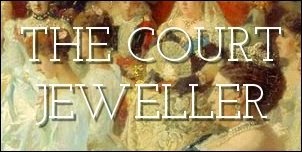 The New York Times explained, "The diadem is so made that it can be taken apart without difficulty and made into bracelets, rings, necklaces, or brooches, should the fashion change or its shape cease to please." Astrid only had a few years to wear her tiara; she died in a tragic car accident in 1935. But the tiara is still with the Belgian royal family today, and we'll see it play a part in another major royal wedding in an upcoming post.